The Gorkha Janmukti Morcha's union for tea garden workers today said it would launch a movement across the hills if the state failed to fix the minimum wage for the workforce even after a two-day industry-wide strike on the demand next week. Suraj Subba, the general secretary of the Darjeeling Terai Dooars Plantation Labour Union, said: "There will be a industry-wide strike by the Joint Forum on June 12 and 13. Even after the strike, if the state does not make any move in fixing and implementing minimum wages in the tea sector, we will launch a movement across the hills." Subba's organisation is among the 23 unions which make up the forum. 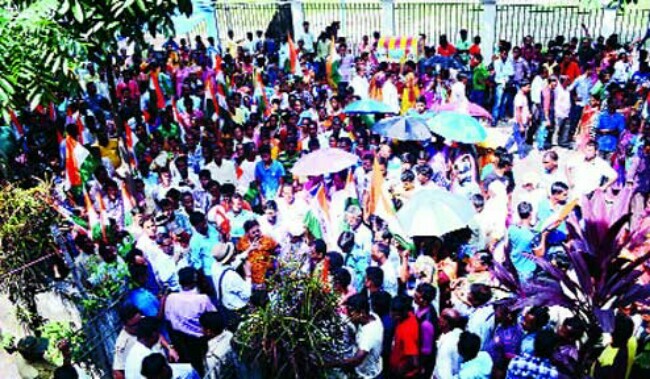 Trade unions affiliated to Trinamul are not part of the forum that has also appealed for a 12-hour general strike in the districts of Darjeeling, Jalpaiguri and Alipurduar and in the Islampur and Mekhliganj subdivisions of North Dinajpur and Cooch Behar districts on June 13 on the minimum wage demand. Subba alleged that the state government was not serious about resolving the issue. "We doubt the seriousness of the state government. The government keeps on calling meetings on fixing the minimum wage in the tea plantation sector but eventually, no decision is taken," he said. 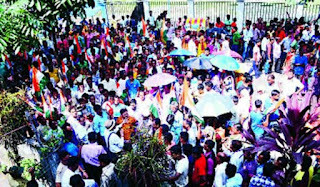 The threat by the Morcha union to organise a movement in the hills seems to be meant to mount pressure on the government and Trinamul. "After the Bengali language issue, it seems the Morcha wants to pick up the tea wage issue. It would pose a new challenge for Mamata Banerjee and her party, particularly because the GTA elections are ahead," an observer said. There are over 70 tea estates in the hills. "Support of tea garden labourers is necessary to win GTA polls. The Morcha will try to drive home the point that it is due to the state's failure that workers are being deprived of minimum wages. In such a situation, it would be tough for Trinamul to win the support of the hill tea population," the observer said. Supporters of the Trinamul-backed Terai Dooars Plantation Workers' Union assembled in front of the joint labour commissioner's office in Siliguri today and its leaders submitted a memorandum in protest against the two-day strike by the Joint Forum. Supporters of Trinamul' tea trade union in front of the labour department's office in Siliguri on Wednesday. Picture by Passang Yolmo.